The Oscars air this Sunday and with this night of glitz and glam comes high fashion, immense talent, and an endless amount of anxiety — because everyone’s hoping their favorites take home that perfect gold lil’ man! 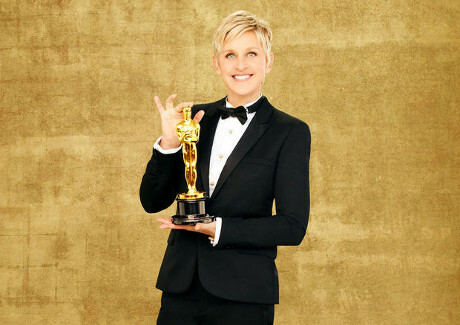 Ellen DeGeneres will be hosting the night’s festivities, beginning at 8:30 PM EST/ 5:30 PM PST, with the Red Carpet coverage rolling out in the hours leading up to the big event. A lot of gorgeous, glamorous dresses have glided down the carpets this season, but the true fashion magic of the season is usually revealed at the Oscars, arguably one of the biggest night’s in Hollywood. Some fashions to look out for on the Oscars Red Carpet 2014: The color red; the “mullet” gown; the color black; as well as American Hustle–style fashions, inspired by a movie that swept up awards this season. What styles have intrigued you most this season? And who, for you, is the one celeb who always steals the show? Celeb Dirty Laundry will be covering every aspect of the awards show this evening, including posting pics of all the hottest, latest, most current fashions from the carpet. The photo gallery below will be updated over the course of the night — so keep refreshing this page or checking back to get the latest scoop and sparkly details. CLICK FOR 2014 OSCAR WINNERS HERE! As always, we’d love to hear from you over the course of the evening, so feel free to leave your thoughts in the comments section below or come find us on Twitter! Amber Heard Makes Her Move On Ellen DeGeneres: Portia Rossi In A Jealous Rage! Ellen DeGeneres At War With Wannabe Talk Show Host Kris Jenner?